Trust the New York Yankees and Cleveland Indians to drum up interest ahead of their scheduled games. While other clubs in the league has its own share of following and rivalries, the friendly competition between the Yankees and the Indians have stood the test of time and today, still manages to draw in the crowds. This year, the two clubs are expected to play on multiple occasions, and between Friday, May 4 and Sunday, July 15, the two teams will face seven times which will be a delight for its fans. On May 4, the Yankees will host the Indians and on July 15, it’s the turn of the Indians to host the Yankees at the Progressive Field, Cleveland, Ohio. Throughout the 2018 season, the games between the two teams have been passionately followed and considered as among the most in-demand based on ticket sales. According to reports, the July 15 game at the Progressive has been 95-percent sold out, with a few more dates piling up tickets sales. So what’s the underlying reason for the popularity of these two clubs, and why are some fans too passionate about the games and rivalry? The New York Yankees and the Cleveland Indians are two of the most popular clubs in the MLB. These two teams may not figure prominently in championship match-ups and the games are not too often during the regular season, there’s no denying the fact that the teams share a storied team history and relationships. The Yankees is one of the most storied teams out in the field, and known to bring in record crowds when it plays. As a successful club, the team has managed to amass 18 division titles, 27 World Series championships and 40 AL pennants, considered as league records. Also, the team has hosted some of the Hall of Famers including Lou Gehrig, Joe DiMaggio and Yogi Berra. The Cleveland Indians has its own share of success on the field, and have contributed a number of Hall Famers as well including Larry Doby, Ralph Kiner and Joe Sewell. Both have performed well during the golden age of baseball, and have its own share of slumps as well. So when they are on the field, they are known to bring out the best in everything. This is the main reason why a baseball game between the Yankees and Indians should not be missed. Although they may not be the biggest rivalry on MLB, still the matches between the two teams are worth watching thanks to their never-say-die attitude. And in the last few decades, the two teams have figured in a number of memorable games. During the 1950s, the New York Yankees is considered as a powerhouse team. And this was no longer surprising with a number of top names playing for the club including Yogi Berra, Mickey Mantle and Whitey Ford. Also, the Bronx Bombers took home 8 pennants and 6 World Series titles during this time. If this was the best of times for the Yankees, then it’s the opposite thing for the Cleveland Indians. The success of the Yankees during this time came at the expense of the Cleveland Indians. Five times during the 1950s, the Indians were the bridesmaids to the Yankees. It was the Yankees that managed to capture its American League pennant, with the most memorable in 1955, when the teams are tied for first with 7 games, but the Indians soon faded and completed it 3 games behind. The Indians managed something positive in 1954, when it won the pennant with 111 wins. However, the Yankees still won the spotlight with 103 wins. On August 31, 2004, the Cleveland Indians won one of its most memorable games at the expense of the Yankees. It was a shut-out, with the Yankees left eating the dust with a score 22-0 after completing 9 innings. What made this loss more painful was the fact that this was hosted at the Yankee stadium, with more than 50,000 fans watching. In 2017, the journey of the Cleveland Indians was cut short after taking a beating in the hands of the Yankees during their Game 5 match. Corey Kluber only pitched only 3.2 innings, and this was never enough to extend the stay of the Indians in the league. Even though the team fell short, team manager Terry Francona was happy with the performance of the team, especially its 2017 journey. This 2018, the Yankees is expected to perform better than the Indians, thanks to the inclusion of Giancarlo Stanton, which was the leader of the league when it comes to home runs with 59 last season. This should boost the bench of the Yankees as Stanton will help out Gary Sanchez and Aaron Judge. And for the passionate fans of both teams, these are critical information that they can use when planning their bets for MLB and team assessments. The campaign of the Yankees this season started with the game with Tampa Bat Rays and the Baltimore Orioles. 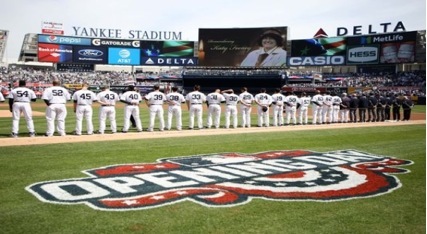 This May, the Yankees will face the Cleveland Indians on May 4 at the Yankee Stadium, Bronx, NY. From May 4 to 6, the Yankees will host the Indians. For the Indians, the team started the season with a six-game trip after completing its Spring Training sessions in Goodyear, Arizona. It’s first game was with Mariners last March 29. At home, its first game at the Progressive Field was scheduled last April 6 and this was against the Royals, its rivals in the American League Central. After May, the Cleveland Indians will complete a 9-game swing that will start on June 25 and will lasts until July 14 which includes visits in Kansas City. After this, the Tribe will return to complete another 10-game run, which includes a match-up with its old rival, the New York Yankees just in time before the start of the All Star Break.